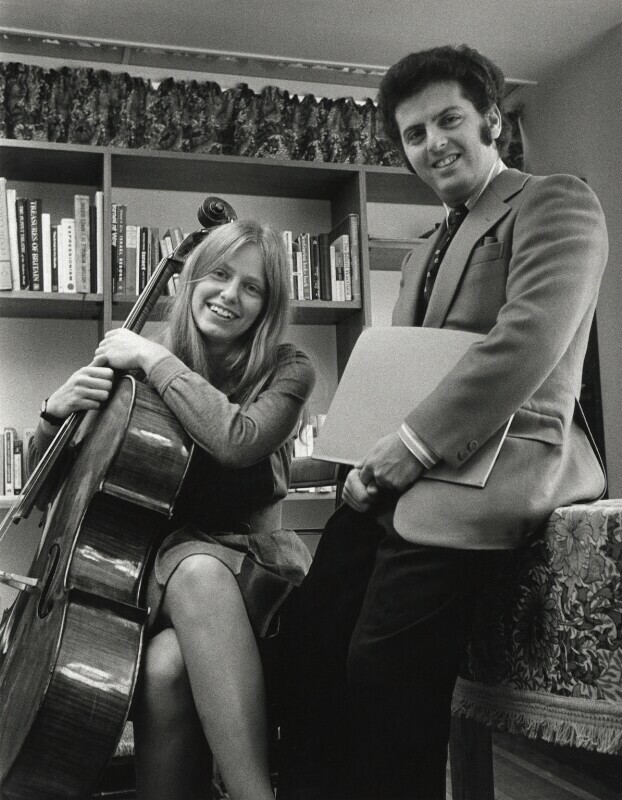 Jacqueline Mary du Pré (1945-1987), Cellist. Sitter in 16 portraits. Clive Barda (1945-), Photographer. Artist of 15 portraits. Britain joins the European Community. After two attempts both vetoed by President Charles De Gaulle of France, Britain is finally accepted into the EC under the pro-European leadership of Edward Heath. British soldiers shoot 14 unarmed protesters in the Bloody Sunday massacre. The men were part of a march through Londonderry, protesting about the policy of internment without trial. David Bowie releases The Rise and Fall of Ziggy Stardust and the Spiders from Mars; a classic glam-rock concept album with the themes of space aliens, gender ambiguity and rock 'n' roll superstardom. The arrest of five men who were caught trying to bug the headquarters of the Democratic National Committee marks the beginning of the 'Watergate Scandal'. The scandal centred on attempts to spy on the Democratic opposition in order to help President Nixon's re-election, and finally led to Nixon's resignation two years later. Black September Palestinian terrorists murder 11 Israeli athletes at the Olympic Games in Munich.